Bing Li, Ph.D. joined the Department of Automotive Engineering in August 2018 as an Assistant Professor in the Clemson University International Center for Automotive Research (CU-ICAR). Dr. Li also has industrial experiences at China Academy of Telecommunications Technology, IBM and HERE North America LLC that builds maps and location platform enabling self-driving vehicles. 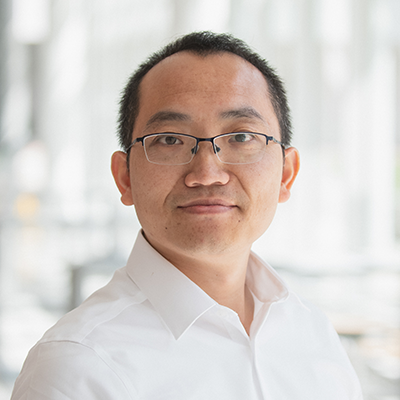 The underlying theme of Dr. Li’s research activities has been to empower robot and vehicle intelligence and autonomy by sensing, understanding, and learning from dynamic environments. Dr. Li has also been developing assistive navigation aid technologies to help seniors and people with disabilities. Dr. Li's research interests lie at the intersection of robotics, multi-modal sensor fusion, visual perception and machine/deep learning, including topics such as 3D simultaneous localization and mapping (SLAM), 3D reconstruction, object detection and tracking, and semantic and panoptic segmentation, with applications in autonomous driving, vehicle simulators, manufacturing robots, inspection robots, and assistive technologies. Dr. Li received his Ph.D. degree in Electrical Engineering from City College (CCNY), the City University of New York (CUNY) in 2018, M.S. in Measurement Technology and Automation Device from Beihang University in 2009, and B.S. in Industry Automation from Beijing Forestry University in 2006, China. Dr. Li is passionate about STEM education and has been actively mentoring (high school, undergraduate, and graduate) students in his group. He has received several awards for his research, such as the IEEE CYBER Best Conference Paper Award (2017), the Innovation Award at the International Conference on Climbing and Walking Robots (2015), and the Extreme Award at the IBM Internship Program (2015). He is a member of IEEE.